I recently installed my IoTaWatt in my main switchboard. 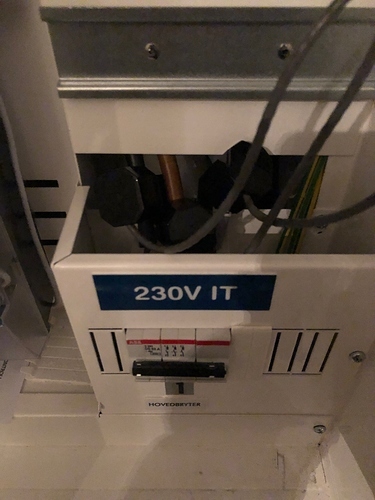 I live in Norway where we I have 230Vac - IT (3-phase). I have CTs on my main breaker (L1 - L2 - L3). I am using one VT with derived three-phase enabled. I have also created an output from IoTaWatt in kwh (since I am using InfluxDB which matches above query. So I am thinking that something is wrong in my setup. Has anyone here seen or experienced similar issues? Could it be that I have mixed up the phases related to using the derived three-phase? Could it be that I have mixed up the phases related to using the derived three-phase? it doesn’t look to me that is the problem. 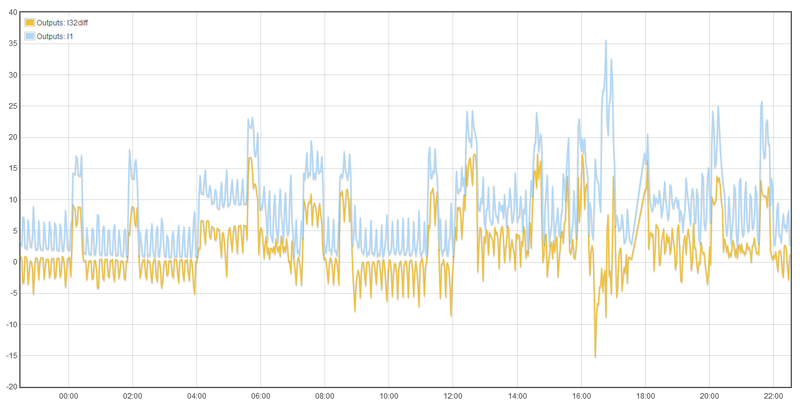 Usually incorrect phase assignment results in lower readings. You are getting consistently higher readings. The IoTaWatt numbers seem to be a constant factor higher. If these measurements were speed or distance I would suspect miles vs kilometers. 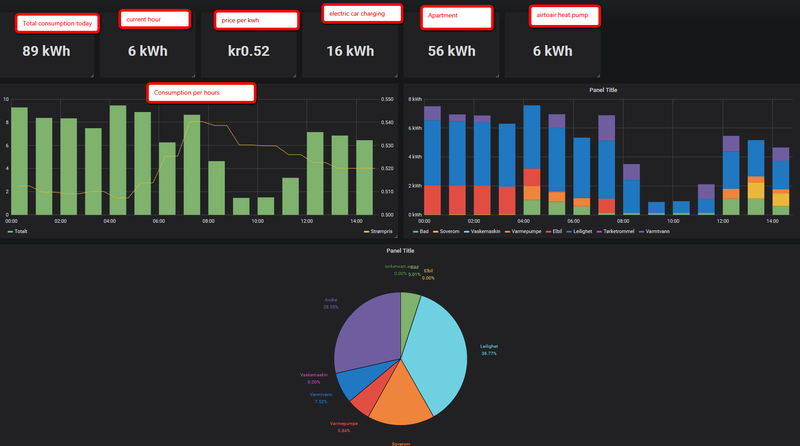 You seem to have very detailed meter data, and I am curious if the meter is measuring the same thing as IoTaWatt and in the same units. 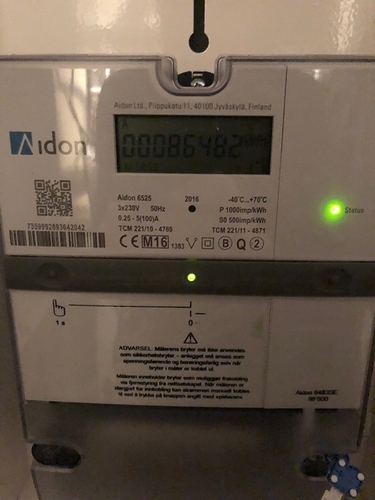 I’m not familiar with Norway conventions, so maybe some pictures of the setup and more information about the meter readings would help me figure this out. 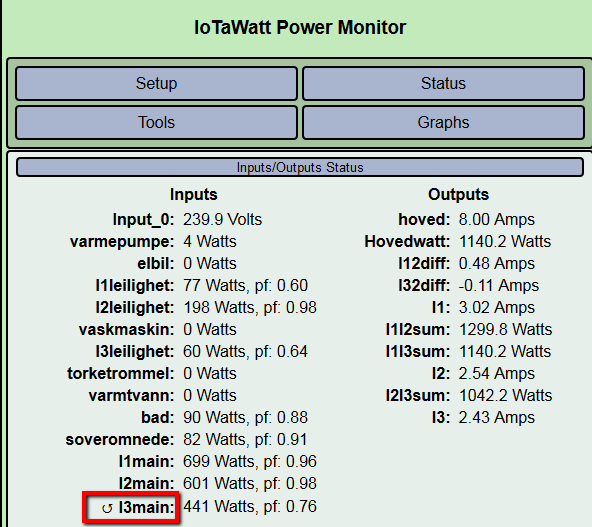 One thing I noticed is that the IoTaWatt status display indicates 1,343 watts total, and the individual circuits add up to 412 (did this in my head so maybe a little off). So I’m wondering what the big load is? You are using quite a bit of energy, much more than I typically see in European households. You are in a cold climate and perhaps heating with electricity, but I would expect the that to be lower during the day. What you have looks more like the output of a photovoltaic system. Thanks for the quick reply. I will take some pictures from my installation and my meter later today when I am back home. Will revert with more info in 3-4 hours. OK, I’ll wait for more information. Please try to explain why usage more than doubles during the day, peaking around mid-day. Can you confirm that there is no solar system involved here and what is going on with the increase? Can confirm that no solar system is involved. How did you get the hourly meter data in the original post? 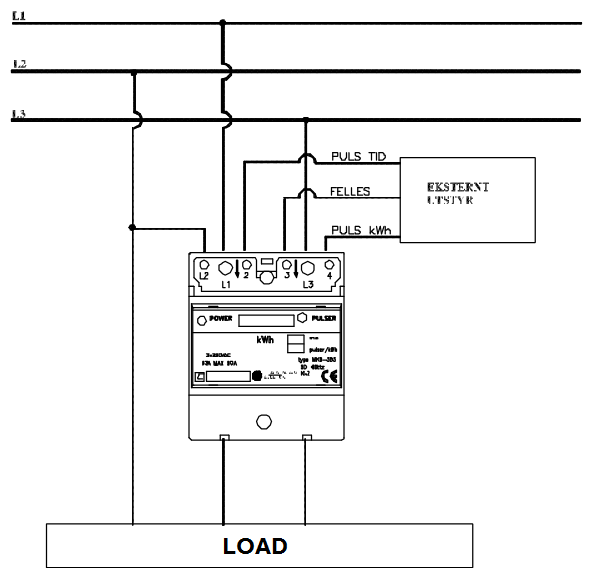 Been reading up a bit on my 230Vac IT network and it seems that CTs perhaps only should be connected to L1 and L3. All individual circuits are always connected to L1 or L3 (L1-L2, L2-L3, L3-L1). Will continue to investigate and find appropiate formula. That’s interesting. I’m a little out of my element on this, so we will learn together. 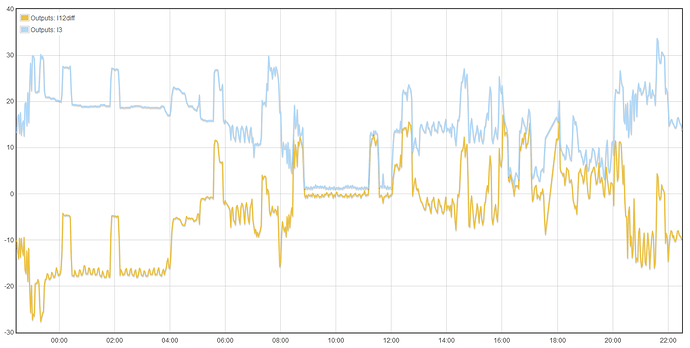 I was puzzled by the grafana graph of mains current. 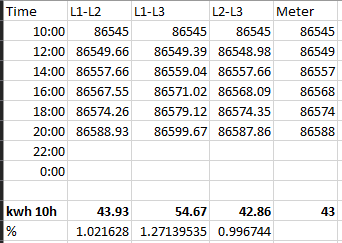 I noticed that there is a regular 5 amp load on L1 that corresponds with a regular somewhat smaller but otherwise identical load on L2. That’s a mystery to me. I think you have a three wire system. That may not be possible to measure with derived three phase, at least as currently implemented. I don’t want to get ahead of myself here. It may be that there is an easy way to do this with direct reference. 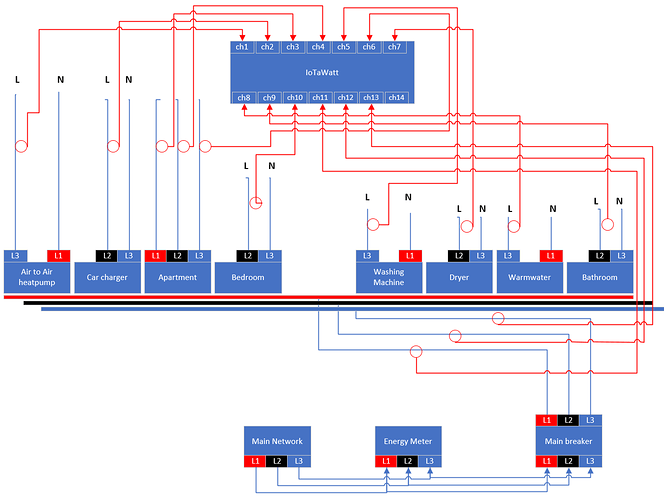 I don’t see a neutral conductor in your diagram, yet the individual circuits each have a neutral that I had thought went to one. What I saw in the mains current graph leads me to believe that what is labelled N in the individual circuits actually goes to another mains phase. Does that sound like what you have? You already have three outputs defined for I1, I2, I3. These will be correct regardless of phase assignment or voltage reference. 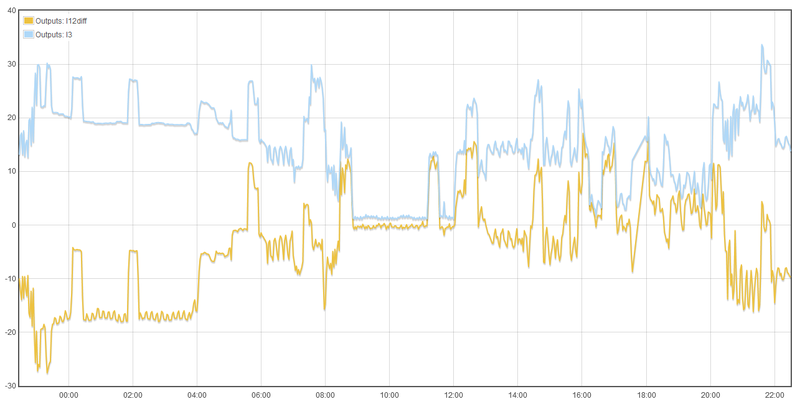 Now can you plot that along with the I3 output over the last day using the IoTaWatt local graph and post it? What I saw in the mains current graph leads me to believe that what is labelled N in the individual circuits actually goes to another mains phase. Does that sound like what you have? 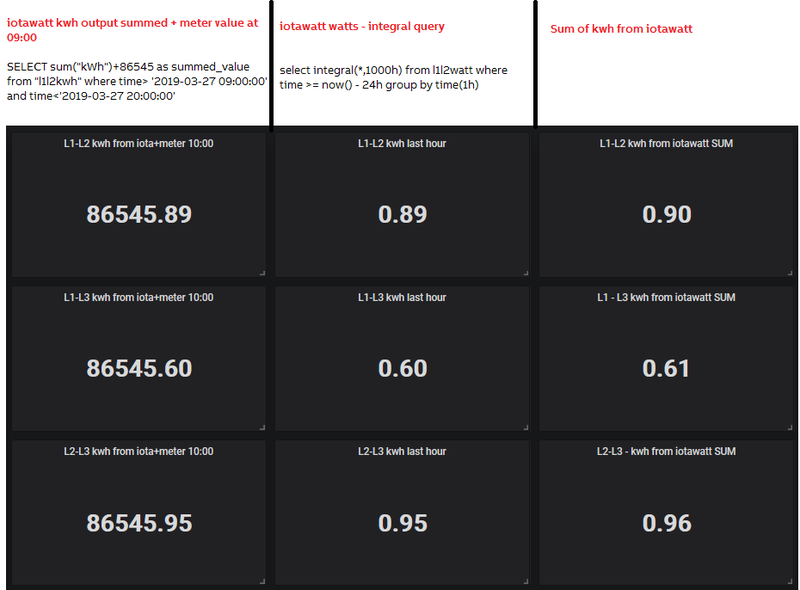 I’ve been coming up to speed on this and I can’t guaranty the optimal solution, but I am more optimistic now about being able to do this with IoTaWatt. 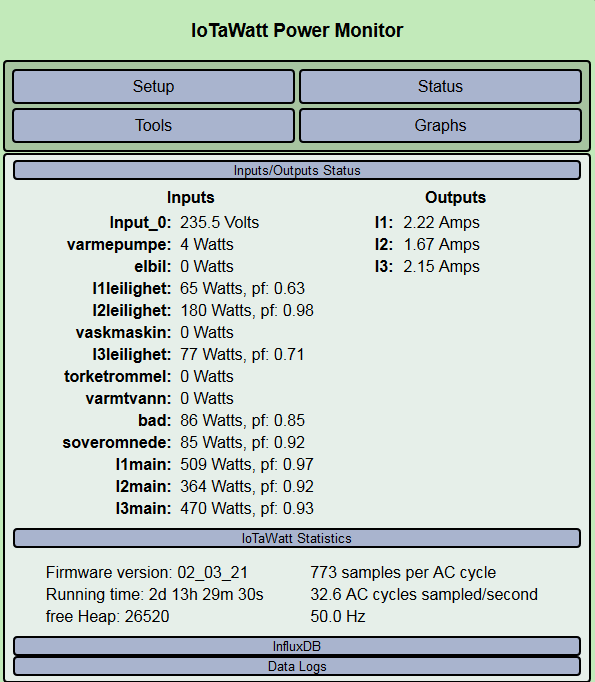 I can see that the two watt meter method is pretty standard for delta (three-wire) systems. 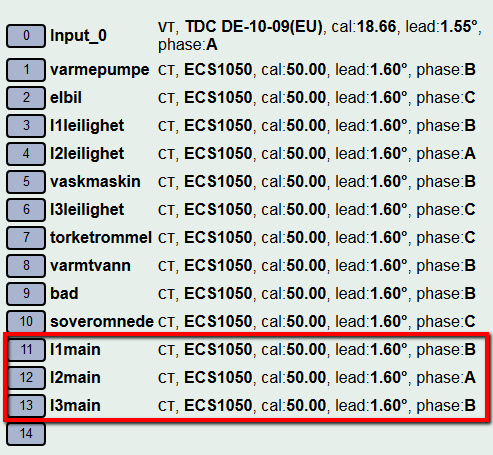 I think it is possible to measure your mains using two CTs and derived reference. Measuring individual circuits is not as straightforward as with four wire, but I think it’s also possible. 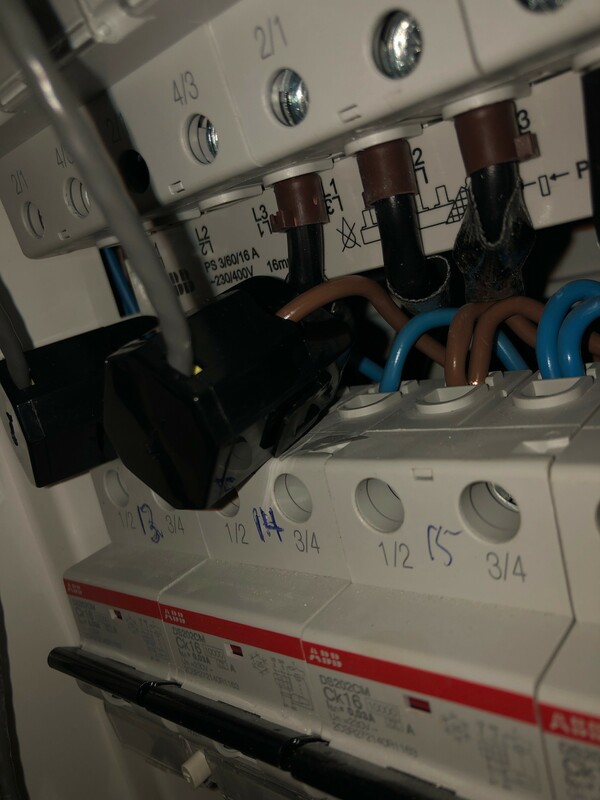 To do the mains, we will need to know which two phases are connected to the VT. We will put a CT on one of those and the other CT will go on the third phase. There are a lot of combinations of CT orientation and VT orientation in this setup, and only one is right, so there will be some trial and error. The VT is connected to L1-L2. Any specific tests, calculations or graphs You would need / recommend? We will be using the CT on L3 and the CT on L1 to measure the mains. They may need to be reversed (physically or with the reverse checkbox) and the phase asssignment of L3 may need to be changed. It’s late there. I’ll pick this sometime tomorrow. UPDATE: in the meantime, you can set up an output that is the sum of I2main and I3main. 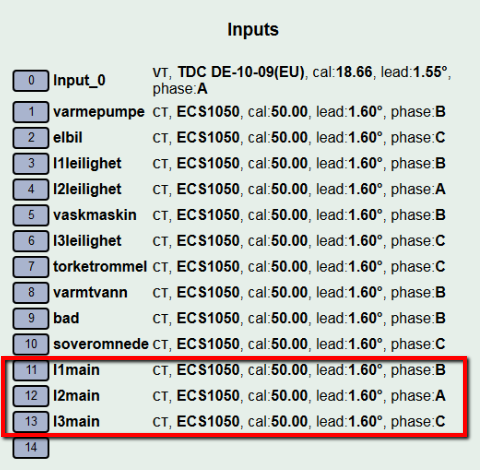 Then, if the new output doesn’t match your meter, you can try assigning I3main to phase B. Monitoring for next few hours and will confirm with meter value every hour. Would you enter the following commands into your browser and post the results please? Thanks, I think the setup as currently configured may produce the solution when we have a sufficient reference to the meter. I’ve got personal matters to attend to today, but will explain my thinking later.